Working at the IB is always exciting, but meeting IB teachers, students and coordinators always gives me a clearer purpose for the work I do every day in the office. Last week I visited a beautiful IB World School in the south of Germany, Munich International School (MIS). Video director Mikael Brain (Social Grinder) and I interviewed and filmed teachers, students, parents, and coordinators to create one of the four videos to be included in the Middle Years Programme (MYP) Coordinator support material, to be published later in 2016. The footage from MIS will be used to create a video on approaches to learning (ATL) in the MYP and will help coordinators understand how to organize a school-wide progression of ATL skills using different strategies, for example by creating horizontal and vertical ATL planning charts. The school personnel welcomed us warmly; the ambitious filming schedule included interviews and also some ATL-related students’ activities. During one of these, students worked in groups and reflected on the ATL skills developed in specific subject groups; they talked about how they transferred these ATL skills and used them in other subject groups and even outside the school. The students then used some coloured triangles of paper, each colour corresponding to a different subject, to write about the ATL skills they developed and why they were proud of it. 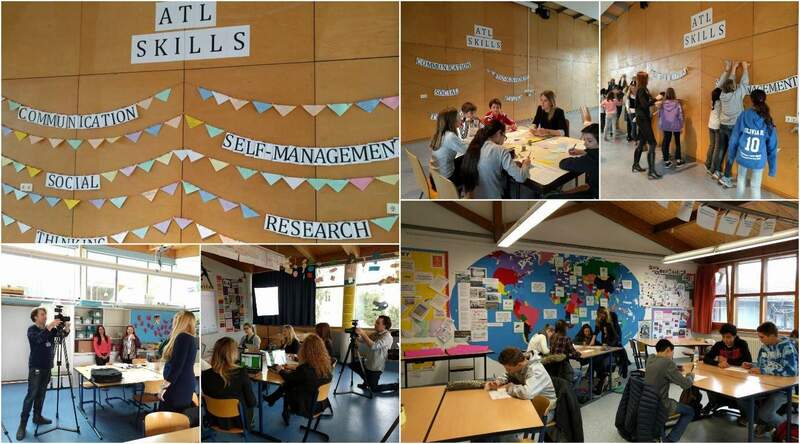 The students then attached their notes to the “ATL wall” next to the appropriate skills posters. At MIS, ATL progression and planning is a whole-school activity. 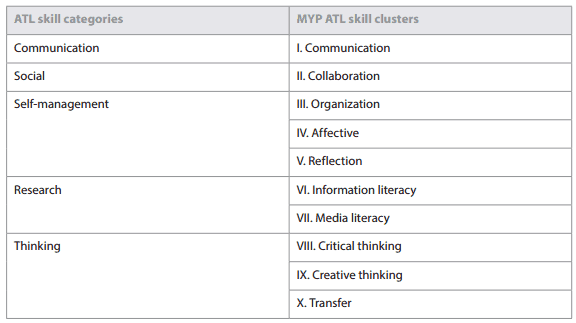 The vertical ATL planning chart is aligned with horizontal planning charts developed specifically for each MYP year by teachers of all subject groups collaborating together. Moreover, there are two ATL coordinators, one for MYP years 1-3 and the other for years 4-5 – this ensures that ATL skills are integral part of the students’ holistic development throughout the years. The whole experience has been inspiring. Seeing MYP students being so engaged with their learning experience and very aware of their skills development was rewarding. The efforts and good work of MIS teachers, coordinators and parents have succeeded in creating a positive and nourishing environment for students, where they can identify their strengths and weaknesses and work on improving their skills every day. Thank you MIS! MYP Coordinator Support Material, the first MYP digital publication, is expected for publication in the third quarter of 2016. It will become part of the new MYP programme website which is currently being developed. Lucia Capasso is the IB’s Academic Coordinator, Middle Years Programme Development and currently studying for an MBA.